Childrens Books About Trees - Help Me Write One! 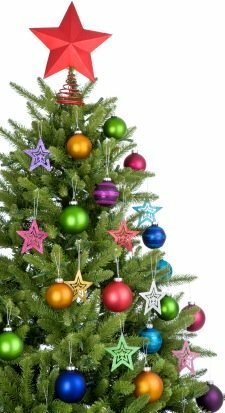 If you reached childrens books about trees for the Read-Me, Complete-Me Book, click The Mistreated Christmas Tree. Are you seeking books about trees to teach your kids the important functions trees play in our lives? Here's a book that received high ratings at Amazon: The Life Cycle of a Tree by Bobbie Kalman, Ages 6 -12.
environment and how children can help trees in their own communities. 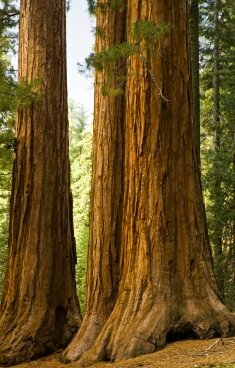 Here's a site that teaches the importance of California trees. When I lived in northern California, I loved the dancing oak trees in the foothills of Potter Valler. The trees seemed to be moving like wildmen and women, flailing their arms (i.e., branches) about, singing and laughing. I’d never seen trees like those growing up in CT.
(Uncertain why I never wrote childrens books about trees there, I had so many possible tales). However, in CT, trees have leaf changing season during September, October and early November. Green leaves explode in nature's finest art work with magnificent reds, yellows, and orange. Many childrens books about trees could be written about this spectacular time of year in New england before winter strikes. Ugh. People come from around the world to witness leaf changing times in New England. Are you looking for facts or just children books about trees that are fun, educational, stimulating? Whatever the case, here are some childrens books about trees or links to factual sites about trees, such as a picture of the tallest tree species in the world at Wikipedia. I read a book once called What the Trees Said and it changed my life forever. I had no idea that trees actually speak to us (No, I'm not going off the deep end). But how many of us listen? Look into the Dr. Seuss book The Lorax at a childrens book on pollution to hear what the imaginative Dr. Seuss says about trees talking. I once attended a workshop and ended up hugging trees (it gave me an appreciation of the gifts we receive from being blessed with trees in our lives). The first childrens book about trees is The Tree Farmer by Chuck Leavell; Nicholas Cravotta (Author), Rebecca Bleau. As quoted from Amazon: A grandfather who owns a tree farm takes his grandson on a magical journey through the forest, where trees become musical instruments, books, a baby's crib and more. The story explains the vital role that trees play in our lives, providing us with the wood for our homes, furniture and other products--and mankind's responsibility to protect and care for them. The second childrens books about trees is Tell Me, Tree: All About Trees for Kids by Gail Gibbons (Author), For ages 4 - 8. Discusses the importance of trees in all our lives, how trees affect the environment, the different shapes of trees, bark and more. Let's have some fun together in writing what could turn into childrens books about trees, in this case Christmas trees. Your kids complete a childrens book about a special Christmas tree I started. You'll see the beginning and your child (or you if you feel inspired and creative) add the ending below. Then submit it. It’ll appear on it’s own page if you’ve written between 150 - 250 words. Otherwise, I'll add some words to yours. We’ll have a joint book completing project going here! Hopefully, many of you will write your endings. I’ll pick the 5 most creative endings and turn them into e-Books for those who submitted them. Your child can use it as Show and Tell. Then share it with friends and family. Plus hundreds and someday thousands of people will read it here online. I call these books Read-Me, Complete-Me Books. I hope you enjoy it! Here's to writing original childrens stories online together. I appreciate your help in completing these childrens books about trees. Once upon a time, a joyous Christmas tree felt like he was in heaven. An angel sat upon his head, his arms were covered with homemade Christmas wreaths and ornaments, and the Burleson kids gave him a treat on Christmas day. "I'm going to miss you. You're a great tree, I feel like you’re my friend," exclaimed Melissa, the youngest. She tried hugging George, but her tiny arms were too small to get too far around. "Mommy, can't we keep George?" she asked. She wanted to retain the meaning of Christmas and joyous spirit year round. "No, dear, I'm sorry. In a few days, we'll have to send George on his way. We can't have the house cluttered by…," she stopped herself short. Now, three days later, a miserable George Claiborne lay in a heap, almost dead and shivering, next to the dumpster, wondering how he’d ever reunite with his brothers and sisters. ATTN KIDS. Proceed to the Invitation that follows to complete this Christmas tree story. Thank you! Have fun. Be creative. Show me your best stuff! Have A Great Ending to This Christmas Tree Story? Do you have a great ending to the beginning of this Christmas tree story? Share it! We'd love to hear it and be able to share it with others. The information and art found on Childrens Books About Trees is the property of Childrens Educational Books.